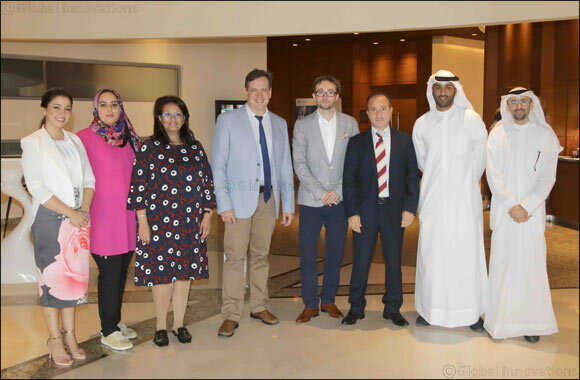 Burgan Bank concludes "Decision Making Skills" workshop in cooperation with "Knowledge Club"
Kuwait, 9 October 2018: Burgan Bank recently participated in the ‘Decision Mojo’ workshop by leading knowledge transfer platform, Knowledge Club, as part of its long-term commitment to employee development and strengthening of skills and methods to make the right decisions in their respective fields. Attended by bank’s staff from different departments in coordination with the Learning and Development Center of the Human Resources Department, the workshop shed light on the essential components that enable consistency in making high-quality decisions to ensure seamless business operations. Held on 7-8 October 2018, the two-day workshop, one of the most important crucial workshops within the comprehensive program of a wide variety of seminars and conferences, the workshop had received a notable turnout and appreciation by the bank’s staff. They were pleased to have benefited from various resourceful educational tools that have developed their practical skills and which will now be reflected on their work performance. Globally renowned speakers, authors and trainers conduct the workshops, as part of Burgan Bank’s one-year sponsorship agreement with the Founder of Knowledge Club - Vigor Events. Recognized as one of the foremost learning experiences, Decision Mojo workshop outlined key organizational and personal decision-making challenges, anticipatory situations, and emerging decision-making models. Any situation that is challenging and demands organizational or personal decision-making skills offers vast learning experiences and insures them from future problems. Each employee through the workshop’s application of eight disciples of decision acumen will now be adept at designing protective, highly proficient, proactive decision-making strategies to apply effectively in the most fitting situations. The ‘Decision Mojo’ workshop was conducted by James Van Der Westhuizen, a trusted adviser to many prominent companies and leading executives, who is also a managing member of Know House – a globally respected organizational development and change consultancy active in the Middle East, Africa and Asia. Burgan Bank has long been advocating the importance of employee development through the adoption of international best practices and unique training opportunities. Striving to be a sought-after career destination, the bank continues to invest in its staff by retaining, cultivating and developing leadership capabilities to achieve long-term sustainable growth.